"The kind of like that means I want to become a bride!" 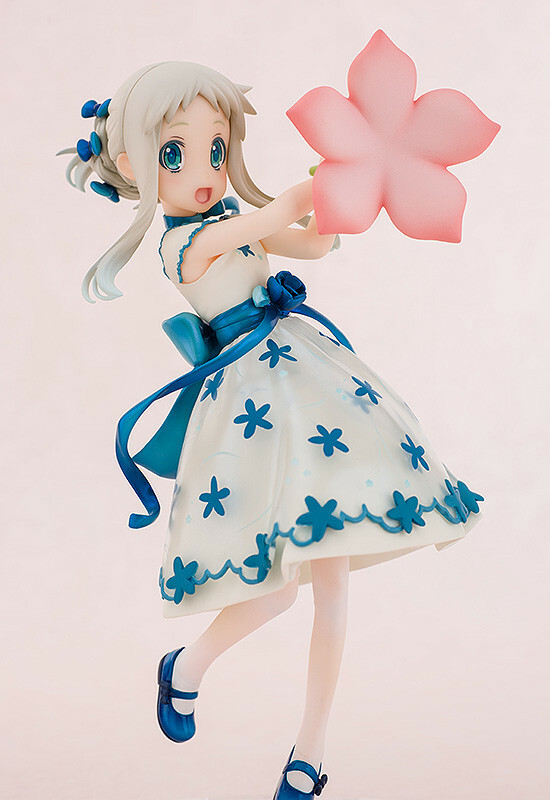 From the popular anime series, 'Anohana: The Flower We Saw That Day' comes a figure of Meiko Honma, also known as Menma! 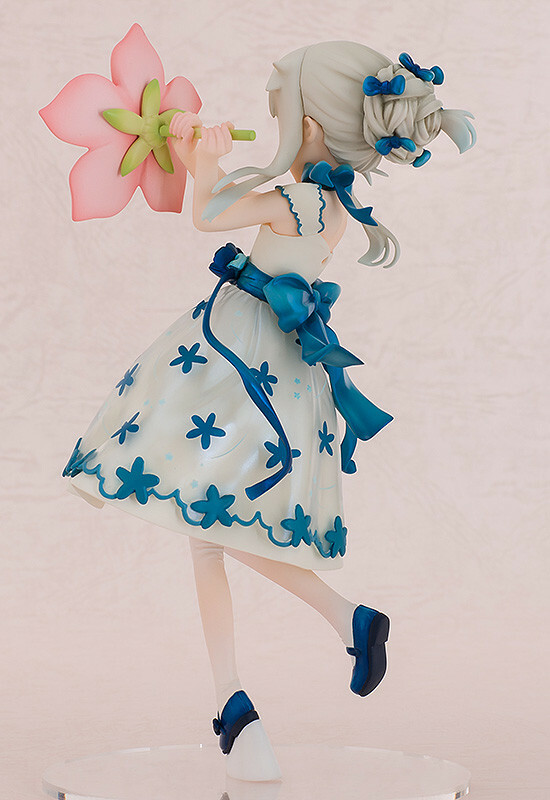 The figure is based on a special illustration that features the young Menma dressed-up in a gorgeous dress. 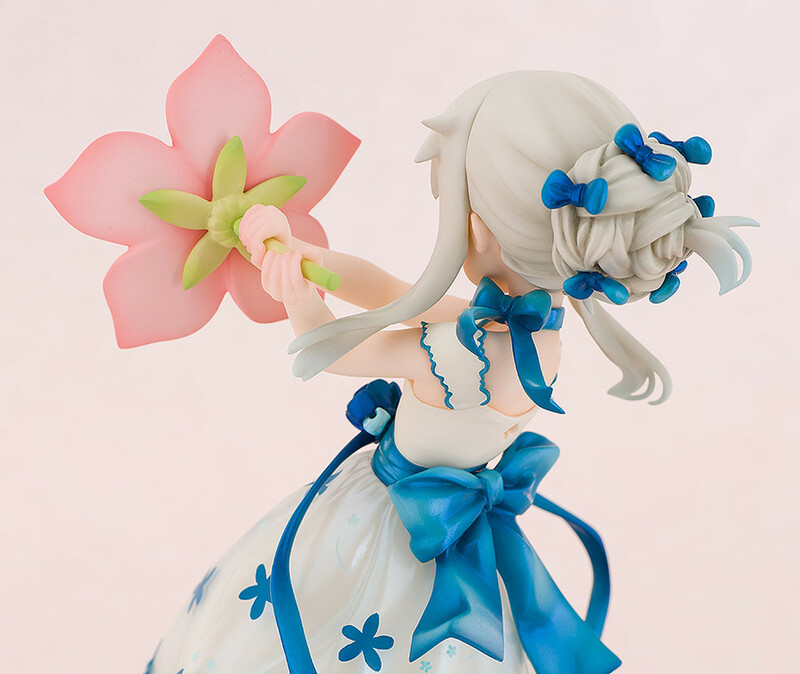 Her skirt makes use of a clear material, and each of the little ribbons in her hair as well as all the little flowers patterns on her dress have all been carefully included to create a figure filled with highlights no matter where you look. 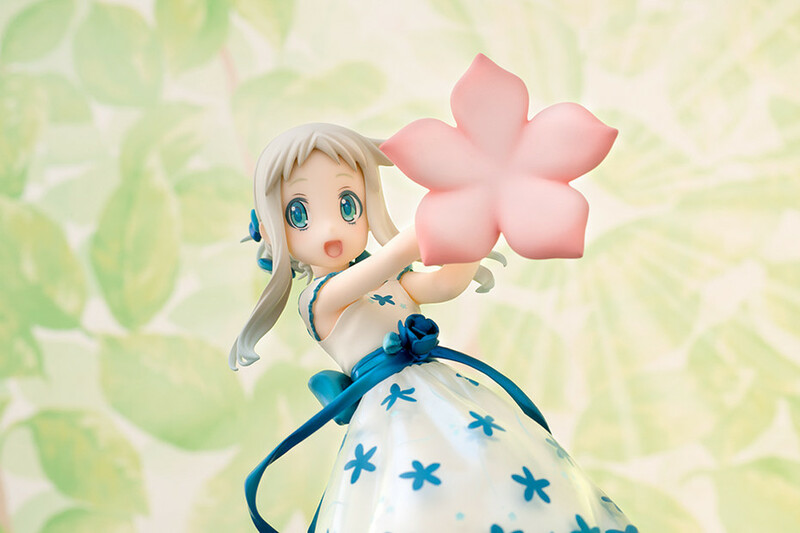 In her hands he holds 'The Flower' while she skips around with a cute smile on her face. 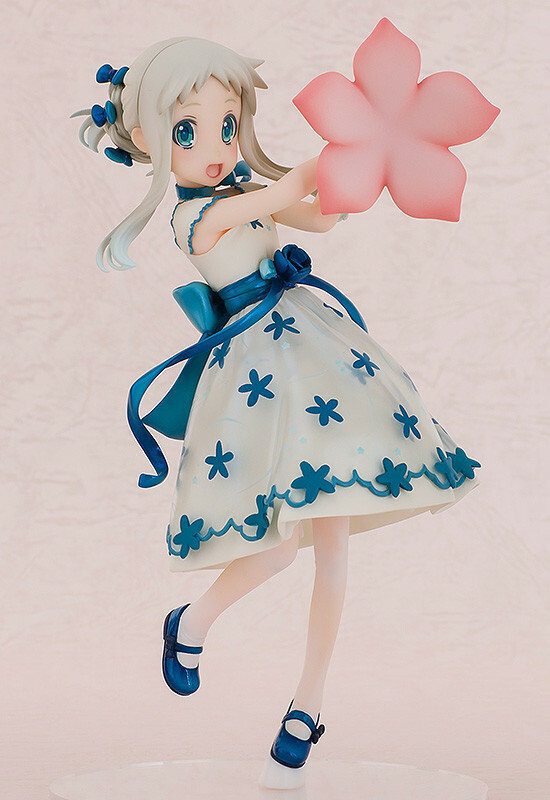 Enjoy the adorable Menma right by your side! Painted 1/8th scale ABS&PVC product with stand included. Approximately 175mm in height. 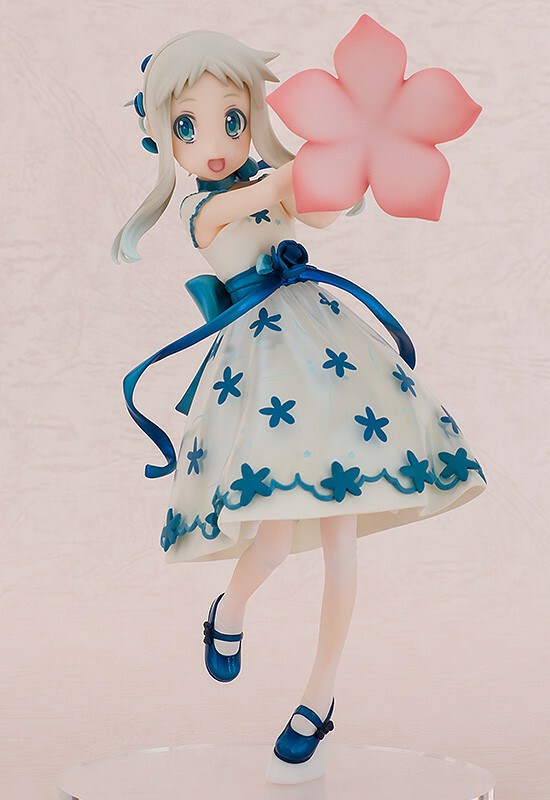 Preorders will be open from 19th November 2015 (Thu) from 12:00JST until 24th December 2015 (Thu) at 21:00JST.